Compliance remains the fastest-growing area in the financial services industry. The increase in federal laws and regulations governing financial institutions and the focus of enforcement placed on the compliance efforts of financial companies creates opportunities for attorneys with demonstrated expertise in financial law and compliance. Seton Hall Law School now provides training beyond the J.D. degree to select students, practitioners and scholars in the growing and increasingly complex area of financial services compliance. Interested students may pursue an entirely online LL.M. degree option, or choose to come to campus for in-person instruction. A candidate seeking admission to the LLM program must have a J.D. degree from a law school that is approved by the Section of Legal Education of the American Bar Association or the foreign equivalent from a school of law. As Seton Hall Law School admits highly qualified candidates, the program is very competitive. The Admissions Committee considers practice experience, graduate degrees in the financial field, quality of law school academic record, demonstrated interest in compliance, and evidenced ability to excel in academic pursuits. The application process is rolling and applications for admission are accepted at any time. This course continues the study begun in Business Associations with emphasis on the financial aspects of the publicly held corporation. It includes: problems of enterprise and securities valuation; capital structure; the issuance and acquisition of securities; security holders' rights; dividends; structural change; mergers and acquisitions. This course examines federal and state regulations of securities, including disclosure requirements, rules governing public and private offerings, and remedies and liabilities. The course also explores within the context of securities regulations current topics relating to the tensions between the interests of issuers and shareholders. This course will highlight challenges raised in the context of corporate governance. Issues to be discussed include fiduciary duties of directors and controlling shareholders; rights of shareholders; use of proxy machinery; and liability for insider trading, including an analysis of SEC Rule 10b-5. This course addresses issues of significant and growing importance in the areas of corporate governance, compliance and risk management. The course will principally focus on the risk management and compliance policies developed by or designed for corporations, but we will consider the perspectives and concerns of management, in-house and outside counsel, regulators, other relevant stakeholders who may influence governance, compliance or risk management. This course surveys elementary techniques and basic theoretical concepts of accounting for law students with little or no accounting background. It provides an introduction to: accounting statements and statement analysis; the accounting cycle; fixed asset accounting and depreciation; and corporate and estate accounting. Note: Students who have completed 4 or more credits of undergraduate or graduate accounting are ineligible to enroll in the course without written permission of the Associate Dean. This course analyzes basic issues to be considered in the organization, operation and disposition of business ventures, combining concepts of partnership, limited liability company and corporate law, finance, securities law and taxation. The course will focus on four primary areas: formation and capitalization of the enterprise, determining participation in profit and loss, rewarding employees and service providers and exit strategies, including business combinations and taxable and tax-free dispositions.In addition to traditional teaching methods, the course involves guest lectures from entrepreneurs, investors and others involved in the field. Significant emphasis will be placed on federal and state tax issues affecting business planning decisions. Fundamental principles of entity-level and pass-through taxation will be discussed. This course studies the federal income taxation of corporations and shareholders, including: a detailed examination of the tax problems arising on incorporation; distributions to shareholders; redemptions of stock and liquidation; the Subchapter S corporation, and corporate reorganizations. This course provides an in-depth study of corporate and white-collar crimes, including: RICO; mail fraud; federal drug offenses; criminal tax enforcement; bank secrecy statutes; false statements to law enforcement agents; criminal civil rights statutes; obstruction of justice; Hobbs Act; Mann Act; securities fraud; environmental crimes; workplace death and injury; and choice between federal and state prosecutions. Secured credit--in the form of bank lending, mortgages, and asset securitizations--is a legal solution to critical business challenges. Secured credit can help creditors lend money while minimizing the risk of loss. It can also help businesses and consumers pledge assets as collateral while retaining the right to use those assets. This course examines the use of credit and collateral in sale and loan transactions, ranging from routine consumer purchases to complex business transactions. This course uses a problem-based approach to explore commercial deals. The course implicates both statutory interpretation and policy considerations in meeting the needs, and reconciling the interests, of the various parties to secured transactions--consumers, manufacturers, dealers, lenders, insurers, and the government. The focus is on developing situations-specific legal strategies and advising clients. There are no pre-requisites for this course, but students who have taken either Commercial Law or Bankruptcy may find the background provided by those courses helpful. 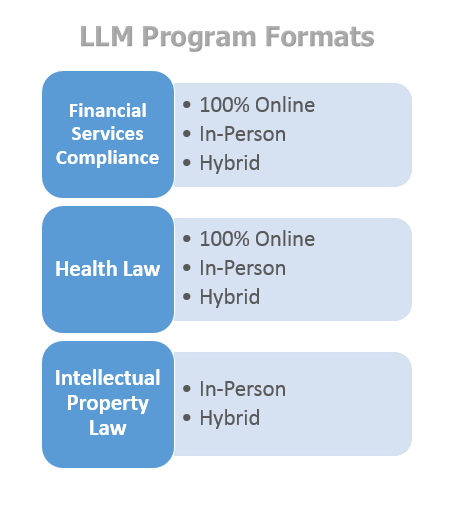 How to Apply or Request Additional Information About the Seton Hall Law LLM Program.